Silver Spring, Md. and St. Paul, Minn. (Thursday, June 21, 2018) – Young minds dream big, and when given the opportunity, they have the innate ability to spark change for the betterment of communities large and small. Today, Discovery Education (@DiscoveryEd) and 3M (@3M) announced 10 finalists from across America as part of its Discovery Education 3M Young Scientist Challenge (#YoungScientist). This competition recognizes students in grades 6-8 who exude curiosity in the scientific process and inspire peers to solve the biggest challenges of the present and future. Students were invited to submit short videos that describe a new invention or idea that could solve or impact an everyday problem. Of hundreds who entered, judges selected 10 finalists for their exceptional science acumen, spirit of innovation and ingenuity, and effective communication skills demonstrated in their entry videos. The finalists ? seven boys and three girls, ranging in ages from 12-14 ? include those from public and private schools all across the nation. Finalists will have the unique opportunity to work one-on-one with 3M scientists during a summer mentorship program to develop their ideas into a working solution that has potential to positively impact their family, community or the global population. Students meet virtually with their mentors, who provide guidance from concept to prototype. 3M is a company rooted in scientific exploration, and the belief that every problem has a solution. These practices offer students complete experience of the scientific process and how to apply it to solve a real-world problem. Throughout the program, each student will have access to resources and support provided by 3M and Discovery Education. 3M has been a title sponsor of the Discovery Education 3M Young Scientist Challenge for more than 10 consecutive years. The program has produced 10 brilliant winners and 90 finalists who have gone on to give TED Talks, file patents, found nonprofits, make the Forbes 30 Under 30 list, ring the bell at the New York Stock Exchange and compete in the White House Science Fair. These young innovators have been featured in Good Morning America, The Ellen DeGeneres Show, The New York Times Magazine, Forbes, Business Insider and more. For more information on the Discovery Education 3M Young Scientist Challenge, including photos and bios of the 10 finalists and a list of the 34 state merit winners, please visit www.youngscientistlab.com/challenge. 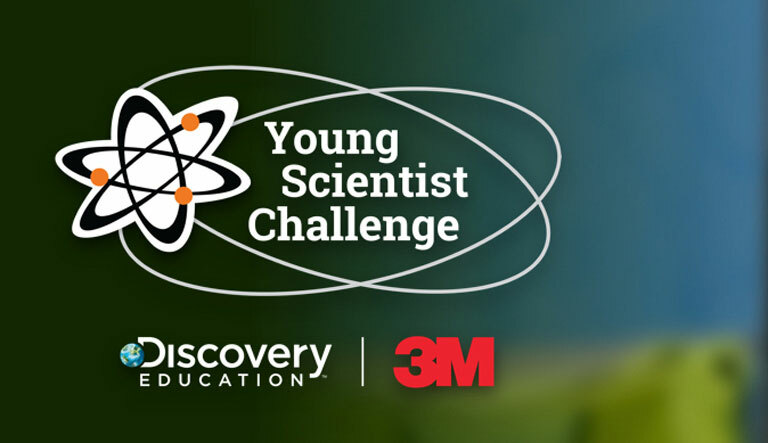 On Twitter, follow @3M and @DiscoveryEd and join the conversation using #YoungScientist.